The Low Stool is designed by the Danish architect duo Space Copenhagen and is regarded as a New Danish Classic. 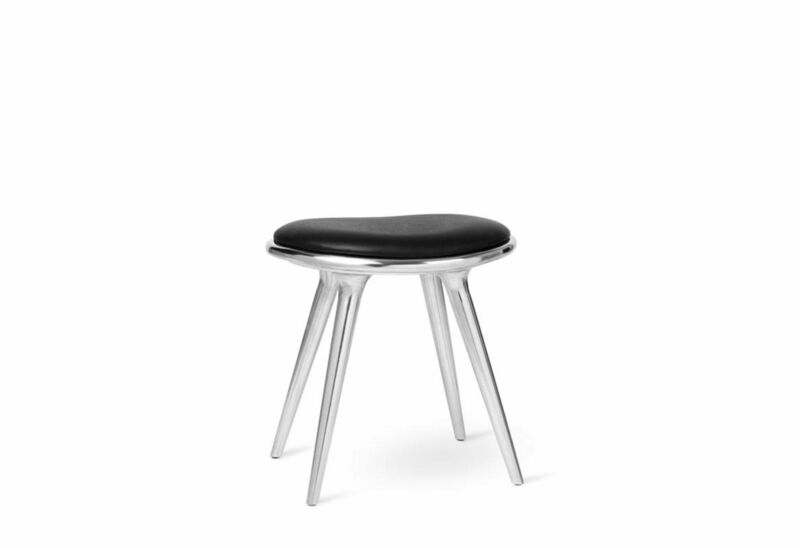 With its organic yet minimalist style, this stool is suitable for both residential and commercial use. The stool i crafted by the ancient technique of sand casting in a small workshop in Northern India. The raw material is derived for 70 % aluminium waste. The upholstery is genuine leather.